Page 3 | News | Vitality Netball Superleague | The United Kingdom’s top level, elite netball competition. The Kiwi shooter, who was born in York, joined Wasps this season and has enjoyed increased court-time in recent fixtures. Wasps travel to Milton Keynes to take on Saracens Mavericks on Monday 15 April (7pm centre-pass). 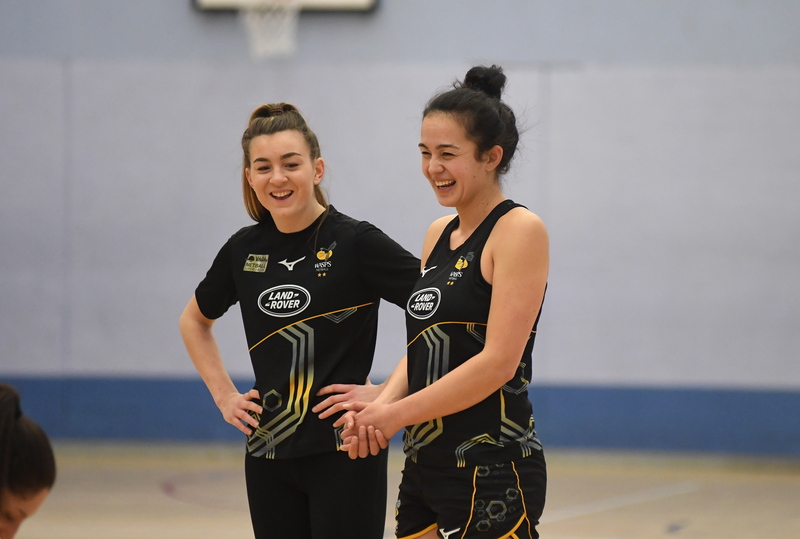 The Black and Golds currently sit second in the Vitality Netball Superleague and a win on Monday would see Wasps build a nine-point advantage over fifth-place Mavericks. Moala, who signed for Wasps from Team Northumbria, has been benefiting from the tutelage of fellow shooters Rachel Dunn and Katie Harris this season. She enjoyed significant court-time against London Pulse and also played a key role in closing out the win against Team Bath last time out. Moala said: “We had been working hard on delivering a strong performance for a full 60 minutes, so it was nice to execute that against Bath. “I think that it was a product of having good training and sticking to the game-plan, which will serve us well in the last few games of the season. “Every game is important now because it’s so tight in the top four you can’t afford to have an off-night at this stage in the season. “I’ve had some chances to perform in the last few games and every time I get an opportunity to show what I can do I really appreciate it – because we have such a talented squad here at Wasps. With five games left to play in the regular season, the race for a top-four finish is on, and Mavericks will be looking to secure an important three points to keep the pressure on the sides above them. Mavericks suffered a shock defeat last time out against London Pulse and Moala believes they will be determined to bounce back in this fixture. “The league is really tight at the moment and there are shock losses every week, we know Mavericks will be looking to come back with a strong performance,” she said. “On any given night every team in this league has the potential to come away as winners – such is the quality of the competition now. You have to bring your A-game to every game. “I’m really loving it here at Wasps. The team culture here is really strong and it’s a great set-up to be a part of. “A win on Monday would of course help us in the push for a top-four finish but every game is important now. Severn Stars’ Head Coach, Sam Bird, has acknowledged that her team go into their match against top of the table Manchester Thunder as underdogs, but says any team on its day can triumph. Her side come to the match at the Belle Vue Sports Village, in Manchester, on Saturday (April 13, 5pm) full of confidence following their first back-to-back wins of the season, against Celtic Dragons and Strathclyde Sirens. 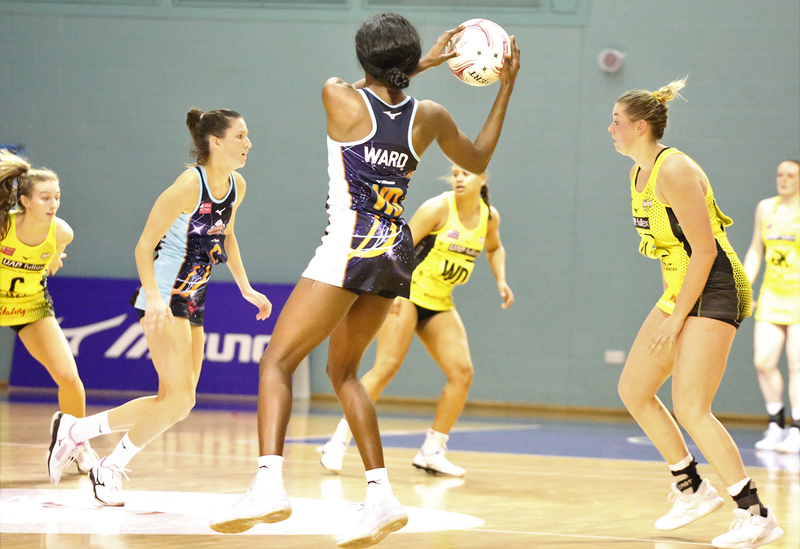 Though Thunder came away the victors at the match at the University of Worcester Arena in February 49-62 and will be looking for a win to maintain their three point lead over Wasps, Bird said her players have been working hard to finish the last few games of the season on a high. The training paid off last weekend when they delivered a 49-40 victory over Strathclyde Sirens at the University of Gloucestershire Sports Arena. The team maintained a narrow lead throughout the match, then pulled away in the final quarter. This followed a thrilling win against Celtic Dragons. Five goals down with the final quarter to go, Stars staged a comeback with a nine goal run unanswered to lead the match at one point by four goals with four minutes to go. They went on to take the win, 52-53. 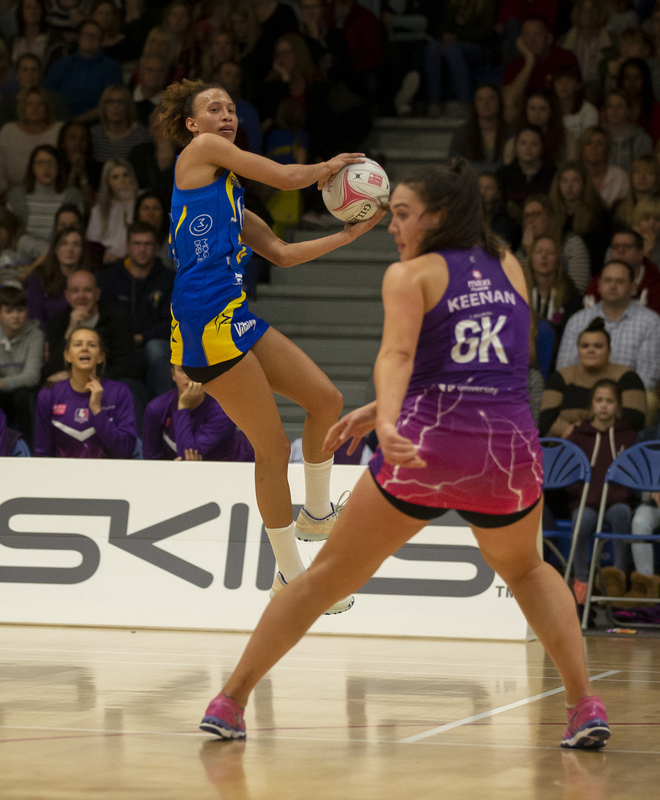 Tickets for the next Stars home game against Team Bath, at the University of Gloucestershire Sports Arena, on April 20 (6pm), are available at www.ticketline.co.uk/netball-superleague-severn-stars#bio.